Sea ice. People walking on the frozen waters of the Novolazarevskaya Nivl Ice Shelf along the Princess Astrid Coast, Queen Maud Land, Antarctica. 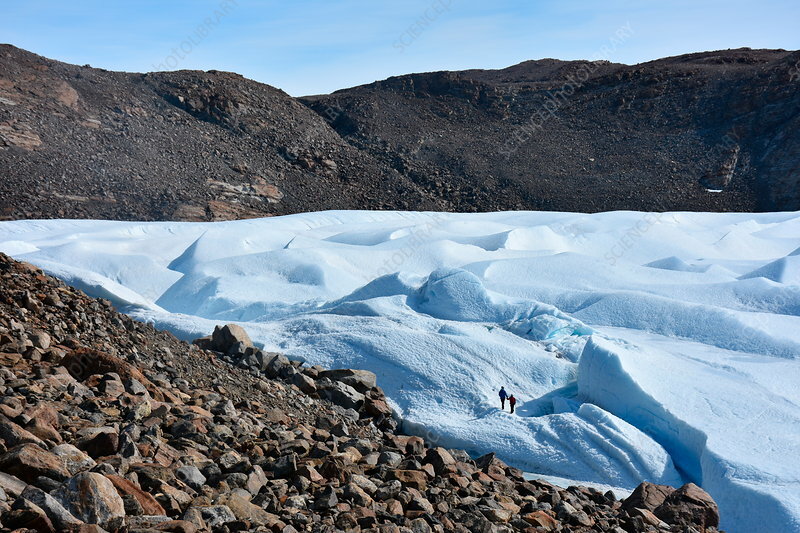 The giant peaks and troughs of ice along the shores of the Schirmacher Oasis are not solid waves, but are caused by compression as the sea water further out freezes and expands. This ice near the Indian Maitri Base, contains spectacular ice caves. Photographed in November 2016.